The Spirit is once more moving The Witch Doctor to write about this in much the same way that she felt moved to write about the link between Oregon, QALYs and rationing in her last post. The Spirit again takes the form of Dr Phil. Now, Dr Phil is an interesting doctor. It seems he has both an NHS post and a private practice. But what is really interesting is that he likes to tell us about the loads of money he makes and the big car he drives. Now, why would he want to do this? Now, there is usually a reason for irony in the blogosphere. The Witch Doctor uses irony to conceal her identity and to bring information to others in an odd way in order they become aware so they can think things through for themselves. The Witch Doctor does not know why Dr Phil is using irony. Neither does My Black Cat. Perhaps some others can work it out. There will be a reason. All she knows is that he is, for some reason or another, coming up with some links to interesting publications that are worth following up. In the last post, you will recollect that The Witch Doctor many years ago refused to fill in a stupid questionnaire when she attended a kind of healthcare brainwashing course. The questionnaire was to do with prioritising care with a view to rationing if and when the money ran out. In Oregon, “interested parties” are now asked to prioritise care. This has been going on from the early 1990’s. It was very controversial at the time. Hopefully it is still controversial. Medical conditions are given a number from 1 to 680. Number 1 condition will be given top priority and depending on the money available there will be a cut-off point on where treatment stops. The list of treatable conditions will become shorter as the money dries up. In 2009 the money dried up to the extent that the state of Oregon would only pay for the first 503 procedures. This ranking system is for people with low incomes, not the Oregon aristocrats. So one has to ask, if they have no money, how and where are the poorest Oregons treated for some of the lowest ranking conditions? Would they be left to die heamorrhaging from a ruptured spleen if The State, or the “interested parties,” (whoever they are) decide they could only treat those ranking from 1 to 177? A ruptured spleen in 2009 was rank 178 whereas in 2002 it had been rank 13. On the other hand, treatment for tobacco dependence has risen in rank from 106 in 2002 to 6 in 2009. Preventive medicine has scored over a life threatening condition. 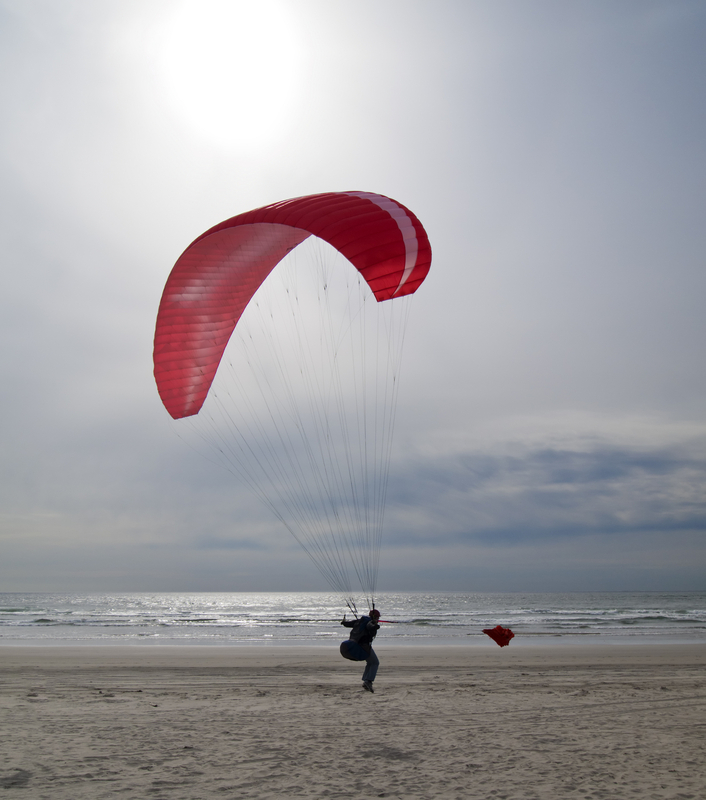 If due to an impoverished state, the ranks close at 100 what will happen to a man paragliding if comes a cropper when he lands, and has a severe head injury with loss of consciousness due to underlying brain haemorrhage? He would rank at 101 in 2009 whereas in 2002 his rank would have been 1. So seven years before he would have been given the very top priority. So, imagine you are a doctor in an impoverished accident and emergency department (where only ranks 1-100 can afford to be treated) when this unfortunate, unconscious paraglider is wheeled in. What do you do? Do you bother to scan his brain or not, knowing full well that if he has had a brain haemorrhage he does not qualify for treatment? Do you just make him comfortable and see if he survives. Hey, wait a minute – you have just noticed – he is a fat paraglider. Thank goodness for that! This means that the state will provide … he will be encouraged to do even more paragliding and lots of other physical activity. He will in fact be given intensive treatment in the form of nutritional and obesity behavioral counselling. Will he though, only get the medical services of the state if he recovers and regains consciousness, on his own, in a side room without proper diagnosis and neurosurgical/neuroradiological intervention? Or will he be sent home, unconscious, undiagnosed to let nature take its course, and then receive a letter a few weeks later inviting him to come for obesity counselling? Even My Black Cat can see this is a load of drivel! And at times she is as thick as they come! As you use Irony to make others think, so do I attempt to do so. There is a danger in the medical blogosphere of preaching to the coverted. Senior medical bloggers are mostly worldly wise and disturbed by the changes in British Medicine, which is not a synonym for the NHS. Arguing and debate are good things, they help forge and refine new ideas. I understand your dislike of Qalys, and while public debate on health rationing is done in a different style, it does at least attempt to get the public involved and treat the voter as intelligent enough to grasp the issues. I would be interested in hearing your views on how health budgets should be allocated between various possibilities. I do indeed have some views on healthcare rationing that have been in my mind since the early days of this blog. I’ve not written about them yet partly because they are still evolving. They are likely to be controversial. Perhaps the time has come to write about them soon. The blog may well lead into this but generally my posts are disorganised because they have a will of their own, so no guarantees!